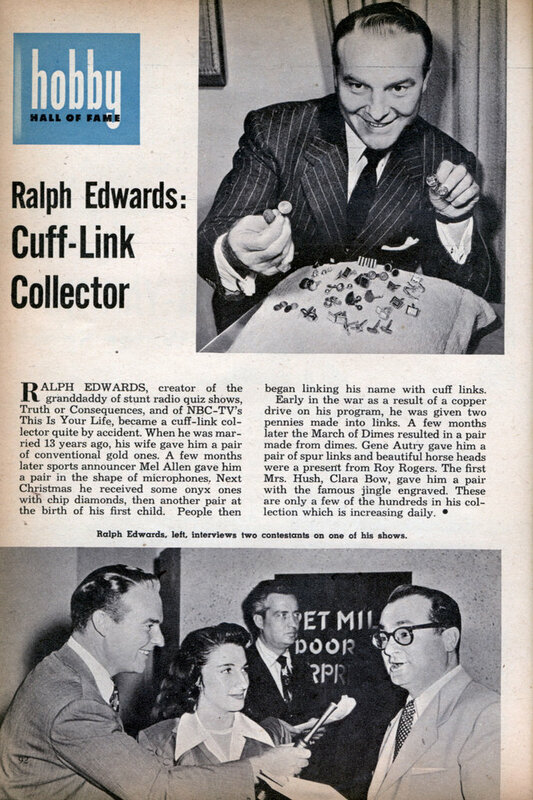 RALPH EDWARDS, creator of the granddaddy of stunt radio quiz shows, Truth or Consequences, and of NBC-TV’s This Is Your Life, became a cuff-link collector quite by accident. When he was married 13 years ago, his wife gave him a pair of conventional gold ones. A few months later sports announcer Mel Allen gave him a pair in the shape of microphones. Next Christmas he received some onyx ones with chip diamonds, then another pair at the birth of his first child. People then began linking his name with cuff links. Early in the war as a result of a copper drive on his program, he was given two pennies made into links. A few months later the March of Dimes resulted in a pair made from dimes. Gene Autry gave him a pair of spur links and beautiful horse heads were a present from Roy Rogers. The first Mrs. Hush, Clara Bow, gave him a pair with the famous jingle engraved. These are only a few of the hundreds in his collection which is increasing daily. 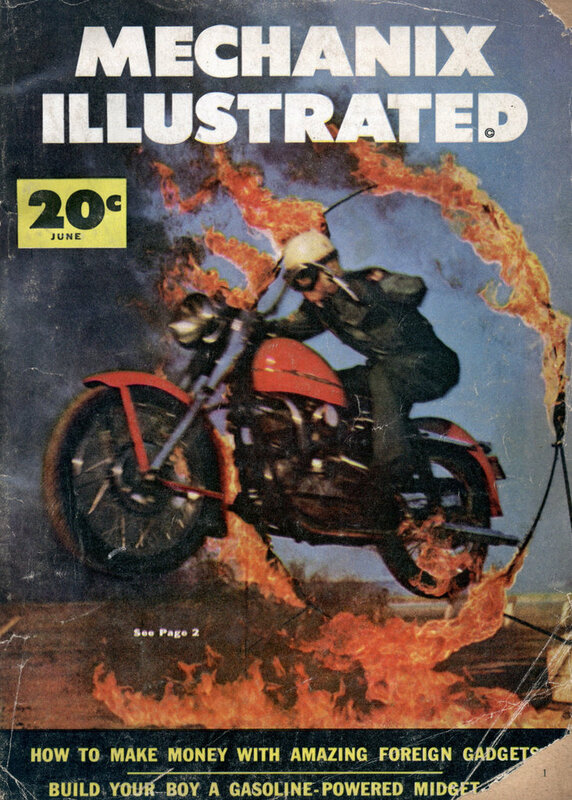 What an exciting time the fifties were! Boy, I missed soo much. Golly! I’ve heard Clara Bow described as “The IT Girl” (and I assume it has nothing to do with Information Technology.) But “The first Mrs. Hush”? Knowing the impact he could make, Edwards used Truth or Consequences as a fundraising platform again in 1947, raising almost a million and a half dollars from the “Hush” contests. Clara Bow – “Mrs. Hush” – raised $550,000, while Martha Graham – “Miss Hush” – generated $880,000 – an unheard-of sum at the time. Ralph Edwards was invited to the White House, where Mrs. Eleanor Roosevelt and Vice President Harry Truman extended their personal gratitude. One wonders how much of the article is true and how much was invented by his publicist.